As temperatures get a bit colder in December, we like to warm up with our red wines – making it the perfect month to introduce you to Corte Rugolin, a 17th Century house in Marano di Valpolicella, where the art of wine making has been nurtured to perfection. 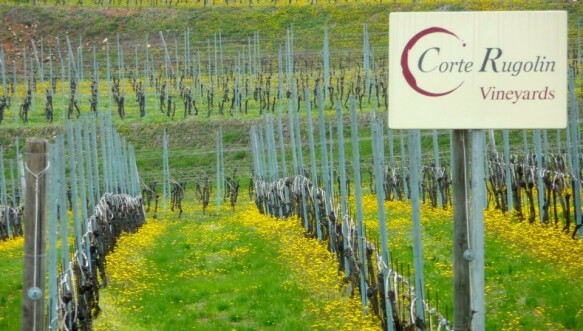 Corte Rugolin specializes in Amarone wine and prides themselves on making quality wine produced in small quantities in the heart of Valpolicella. 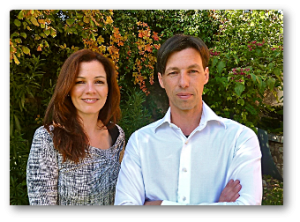 Their wines are carefully looked after from vine to bottle, creating “wines that want you to forget the industrial mass-production and bring the ancient flavor of Valpolicella back to life”. 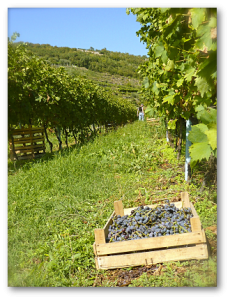 The great-great-grandfather, Giuseppe, started off the business, mainly working in the vineyards. Great grandfather, Fortunato, was the first to make small quantities of Recioto and Amarone. 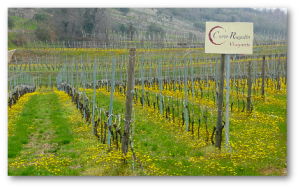 Grandfather Giuseppe and his son Bruno carried on the family business until 1998 when Bruno’s daughter Elena and son Federico founded Corte Rugolin.. The company took its name from the antique rural courtyard, which is also its seat, that dates back to the end of the 16th century. The 12 hectors of vineyards are situated on hilly areas with clayey-calcareous soil with vines dating from 25-50 years of age. Vines are trained on systems that reduce the quantity of bunches of grapes to increase the quality of each wine. Approximately 80.000 bottles of Corte Rugolin are distributed in Italy and abroad. 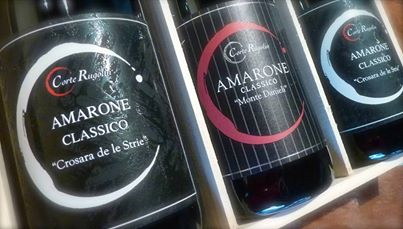 What makes Amarone wines from Valpolicella so special and sometimes pricey? We like Aaron Epstein’s knowledgeable response and infographics in the article on the Wine Folly website ‘Why Amarone is worth the price’. We look forward to sharing a few of our favorites to be featured as ‘Wine of the Week’ throughout December.